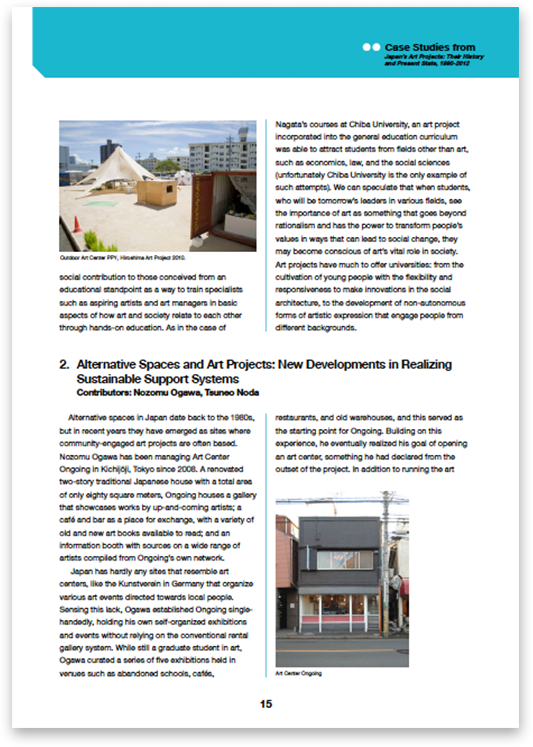 This report was compiled as a part of the Tokyo Art Research Lab (Arts Council Tokyo)’s “Dissemination and Research on the History and Present State of Art Projects in Japan” research and development program (consigned to Tokyo University of the Arts). 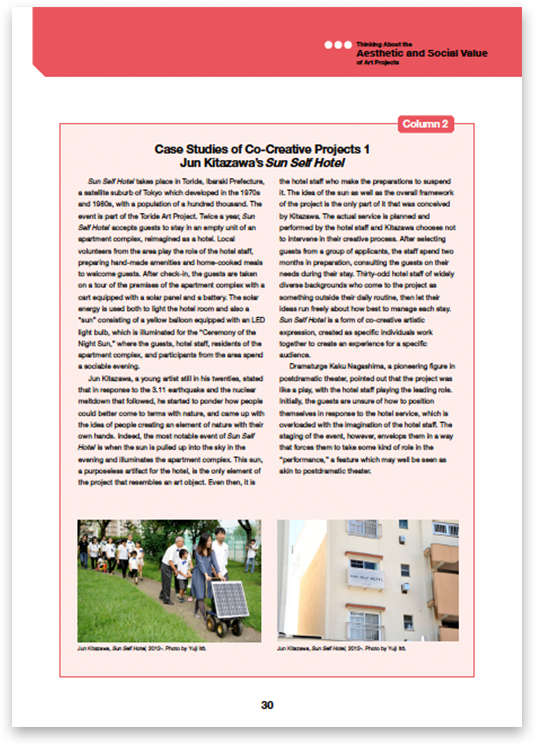 This report is a condensation of a collaborative research project conducted over five years, directed by Sumiko Kumakura, professor at Tokyo University of the Arts, as a part of the Tokyo Art Research Lab. 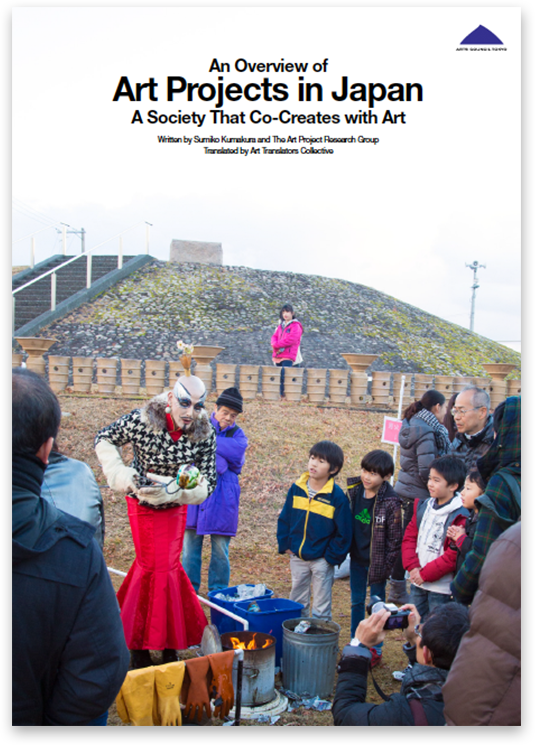 It is intended to summarize the salient points of the research for an English-language audience who may be familiar with recent trends in socially engaged art and social practice but not as familiar with the corresponding scene in Japan. The report is divided into four sections along with five columns which discuss certain topics and themes in further detail.